Understanding NLP opens a doorway into a more imaginative and coherent way of understanding and using NLP. This completely revised edition unites the many strands of NLP using an elegant paradigm which Peter Young calls the Six Perceptual Positions model. The book provides numerous examples of the paradigm in practice. Many NLP concepts are tracked back to their origins, and some of the metaphors used to explain NLP are reinterpreted. New material includes: the NLP Presuppositions, Polarity thinking, Logical Levels, an expanded view of Outcome Setting, and a clarification of Perceptual Positions. There are new chapters on the Art of Asking Questions, and Working with Parts and Roles. This practical guide for the NLP practitioner, coach or therapist, has numerous suggestions about good practice and offers many practical tips on actually doing NLP and utilising the Six Perceptual Positions model. As a result, readers will develop a better understanding of different kinds of clients, and be able to make more effective interventions for creating change. This is an excellent book both for the newly qualified and the experienced NLP practitioner. Young has used his considerable experience and skill to great effect, within the true spirit of NLP, to produce a model of NLP which provides a framework in which various techniques and tools come together. This blend offers the opportunity to freshen up and integrate approaches within the ethos of a generative methodology. It is a book that delivers a message that NLP is a living art form and that NLP is not there purely to be studied but to be developed beyond what we already think we know. Ian Webster, GQHP, Licensed NLP Trainer, Director ACHIEVE ltd. --Ian Webster, GQHP, Licensed NLP Trainer, Director ACHIEVE ltd. 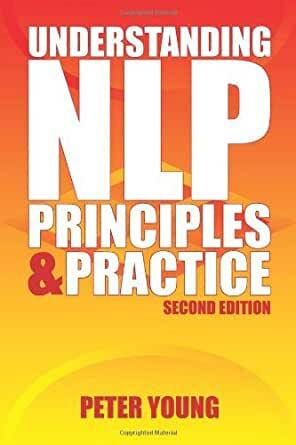 I have read with great enjoyment an NLP book that is far above the conventional NLP heritage. It is the second edition of Peter Young NLP book, entitled: " Understanding NLP: Principles and Practice." This book makes it easy for people to be their own innovator, change engineer and even self-therapist. There is no need to follow the exercises as have been repeated routinely by NLP practitioners any more, for Peter gives us the master-key to design our own. Unfortunately, some of the old NLP dogmas are now shredded into slogans that people recite without paying attention to, or reflecting on, their life or the life of their clients. The surprising "therapist-client" relationship is not in place at it was in the late seventies and early eighties. We know that reflection plus life equals learning and learning introduces us to change. If people accept my definition of NLP as: "It is the science and art that we can use to restructure our past experiences, or even create new ones, to build reality maps that are different from the ones we used or habituated to build", then we have to equip ourselves with a skill of rotating in different modes of a realities model. This book introduces several interconnected paradigms and especially a four realities model that people can sit-down and locate where they are or were and where they want to be and then create a new map to their reality and a roadmap to their destiny. I found that this book is a "must read one", especially for practitioners who think of NLP as nothing but a useful myth or a bunch of some fixed techniques. This book may be unfamiliar in addressing conventional NLP topics, but once you invest in understanding Peter Young's insights, NLP can then be a piece of cake and you can realize that you reinvent the wheel and discover a model that everyone unconsciously uses to change. Knowing this model and using it at the conscious level will speed change and make it an outcome-directed and/or related. 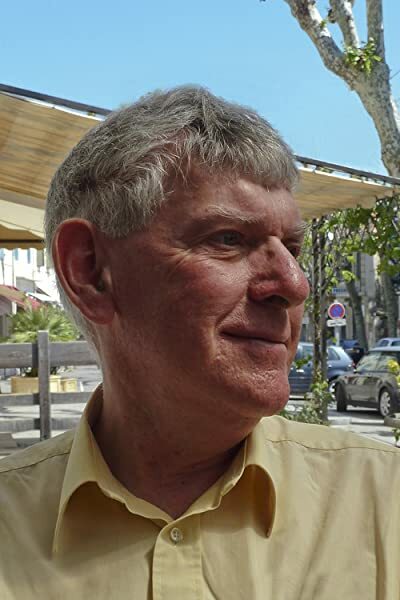 Peter has also addressed the NLP presuppositions from a new angle, and commented on few. I really like very much the way he related some of these presuppositions to his four realities model or thinking modes. I was amazed with how careful Peter was in defining the words of his marvelous book. He certainly underscores the meaning of some of the NLP words, like metaphor, paradigm, mode, model, etc. I urge Peter to write a short or pocketbook about the same subject and enrich it with some mindmaps and diagrams. I will be more than happy to help him in this edition should he find the idea interesting. I think Peter knows by now that I like to be in the "Mythic mode" of his model as he himself does. We can really storm NLP in the next decade if we work together. I think that this book is far greater than just reading an NLP manuscript; to the contrary it is an energizer that can help people flexibly think in a whole-brained model. Peter: I think you need to extrapolate more on your models and encourage NLP practitioners to add more definitions. The more definition we have, the easier we can reach a universal NLP theory. This is the only way that NLP can be used as a tool of everyone. I wish this book had been around when I started studying NLP. It unveils the "mystery" and places the "magic" well within grasping distance. The writing style is clear and concise and although you can dip in and out of it I believe that it benefits from a read through from start to finish. Its a book that puts the "bits" of NLP into a much wider context and begins the journey of filling in the gaps. I found the book a real treat and partly because its only at chapter 5, page 71, that Peter Young even asks the question "What is NLP?". Much more that just a new technology cookbook "Understanding NLP" goes a long way to revealing some of the basic principles behind the techniques and takes its reader through a number of connected and reflective exercises that help meld the material into a complete story. Peter likes stories and activities that have a flow. They start and as designated point change through a series of specific and identifiable nodes and end up at place that moves the story and the reader to a new position. The book ends with a reflection on the possibilities of what to do next. As a practising Neuro Linguistic psychotherapist of some 10 years I found a lot of information omitted and directions that I would want to go in are not explored. However, that tells you where I am rather than where Peter is or wants to go. There is an excellent index, extensive bibliography and useful advice on the exercises. Although I do detect here a trace of what I choose to call "NLP-ism". He says "Follow the instructions rather than making up your own version". This is a good suggestion for beginners. Those with more experience may wish to integrate their own expertise and test the results for themselves. Peter would like to hear the result I am sure. For more experienced practitioners this provides a new and wider, albeit a general, perspective on NLP. I hope it will lead to NLP'ers in general, and those practising Neuro Linguistic Psychotherapy in particular, to allow themselves to be lead by others in their search for excellence. This book is a very welcome addition. To be brief, the Four Realities map nicely to Jung's four Archetypes. This ties in with some of the work I have done with Psycho-Drama and Logos Therapy.